Currently, our playing membership is full, however, we still welcome applications which will be placed onto our waiting list. Candidates will be contacted when any vacancies occur. Whether you are a "novice" or "existing" golfer, by invitation from a current member, or if you are new in the area and do not know anyone please contact the Office for further information. The Professional at SAOL, Daniel Webster, has individual and group coaching packages designed to cater for every level of golfing ability from juniors to adults. The objective of his "starter" sessions is to give prospective members a taste of the game, leading on to playing a few holes and eventually having the opportunity to join as a member. Daniel and his team have a whole range of packages for the improvement of the "existing" golfer. Have a look at Daniel's webpage. 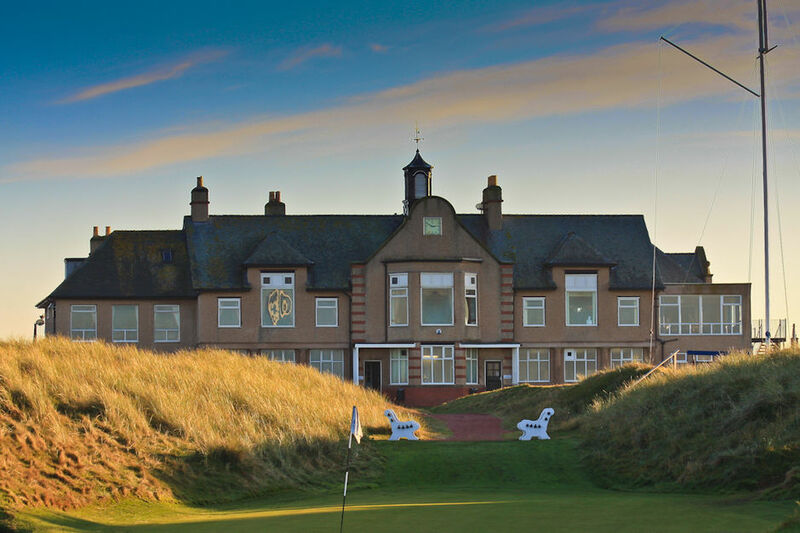 A friendly, welcoming atmosphere awaits you at St Annes Old Links Golf Club, one of the North-west’s finest Championship links courses and it is a “Members Only” golf club, run by the members, for the members. The course is free draining sand-based so it is open all year round with no temporary tees or winter greens. A 300 yard practice ground, practice putting green and practice chipping green. The Professional has a fully equipped Golf Studio with video swing analysis for individual coaching or a quick fix before you go out to play. If you are new to the area, please call in to have a look around our facilities and the Office staff will be pleased to meet you and answer any queries. There is a full competition calendar with both weekend and mid-week competitions for Ladies, Gents, over 55’s and Juniors. Also there are Winter Leagues for Ladies, Gents and Juniors. Social mixed golf on Wednesday evenings during the summer. Members can analyse their golfing progress with our integrated online software. Organised Team golf (Scratch, Handicap and Seniors) with other Fylde Clubs for Gents, Ladies and Juniors. Reciprocal golf with 10 other courses at preferential rates. (Beau Desert GC in Cannock, Abergele GC, Conwy GC and Vale of Llangollen in North Wales, Moor Allerton GC and Northcliffe GC in Leeds, Prestbury GC in Greater Manchester, Shifnal GC in Shropshire , Wilmslow GC and Stockport GC in Greater Manchester. We also have an exchange with Kooyonga GC in Adelaide, Australia! Lively and varied Social Programme – both formal and informal ranging from Balls and Dinner Dances to Free & Easy ‘Tribute Act’ nights, 200 Club and Quiz Nights, Sunday Lunches, occasional wine tasting evenings, Murder mystery Dinners and Saturday night Dine In’s plus various Fundraising Nights for the Captains’ Charities. Beautifully appointed Lounge and Dining Room on first floor overlooking the course available for private functions. A full range of catering is provided by Dahlia's Catering. Why join as a Social member? For the special price of £30 plus VAT, you can be entertained at and participate in our many Social events, or just relax in our Bars located on the first floor and enjoy the fantastic view over our Championship Golf Course. Perhaps you would prefer to watch sport on our wide-screen TV in the spacious Lounge, play snooker on one of our two full size tables, join in the Ladies Bridge afternoons or sign up for the 200 Club and Quiz Nights? You may wish to come along for a mid-week snack, a Saturday Dine In or Sunday Lunch and enjoy the excellent cuisine provided by Dahlia's Catering or even hold your own private function in the Ashton Room, Dining Room or Lounge and Dining Room. Social members also receive a swipe card to benefit from discounts in the Bar and Catering.